The objectives of relaunching the WordPress Multisite platform under a new domain were "reinforcing the visibility, modernizing the layout in a responsive design, expanding the platform for marketing and reducing maintenance costs". You search for a competent partner who migrates your data to WordPress reliably? Furthermore, someone who supports the development of your web presence in a partner-like manner? The customer we accompanied in this project reports that we are exactly this kind of partner. But read this report about the web project data migration for yourself. Spektrum der Wissenschaft Verlagsgesellschaft mbH is one of the premier publishing houses for popular science magazines and content in the German-speaking region. Their portfolio includes the monthly publications “Spektrum der Wissenschaft”, “Gehirn und Geist” and “Sterne und Weltraum”. Furthermore, the weekly digital publication “Spektrum die Woche” and various digital offerings and platforms belong to its portfolio. 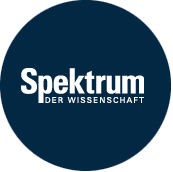 Thereof the knowledge portal Spektrum.de has the widest reach in the popular sciences segment. It offers current news from all areas of science to over 1.3 million unique users a month (AGOF). Science enthusiasts can find detailed reports not only about archeology, biology and chemistry but also about the latest accomplishments in the fields of medicine, physics and technology. The SciLogs blog portal operated by the publishing group is a family of science blogs. They combine the strengths of scientific culture with the “blog” medium. The blogs reinforce interdisciplinary dialog about science in all its facets. That’s due to the bloggers who include researchers, theoretical scientists, practical scientists, journalists and enthusiasts. The new platform under the domain http://scilogs.spektrum.de/ had four objectives. On the one hand, the visibility should be reinforced by bringing the blog portal and the main portal http://www.spektrum.de/ closer together. On the other hand, the platform should get a modern layout in a responsive design. Additionally, it’s been the relaunch’s task to expand the platform to include marketing opportunities like advertising spaces. To reduce maintenance costs has been an objective as well. This should be implemented by increasing the use of standard components rather than in-house developments. Inpsyde implemented the complete migration of the platform to the latest WordPress version and carried out a review of the required plugins. The remarkably thing about it: The platform consists of over 100 blogs in a WordPress Multisite. Moreover, Inpsyde expanded the new theme “Baylys” by Elmastudio used for the platform to include the needed functionality. The WordPress agency Inpsyde carried out the agreed work in a timely manner and to our full satisfaction. Furthermore Inpsyde is always happy to share experience and use their know-how for platform optimization. Dennis Dirdjaja, head of Production and Digital Media provided the information for this project report.